There is a lot of hype at the moment about the 'online estate agents' and the good value they seem to provide. everyone loves a good deal, especially when we could save thousands of pounds! But, will you really save money using an online estate agent? TheAdvisory recently did a data study on the differences between the online agents and traditional high street agents, the results are pretty astounding! 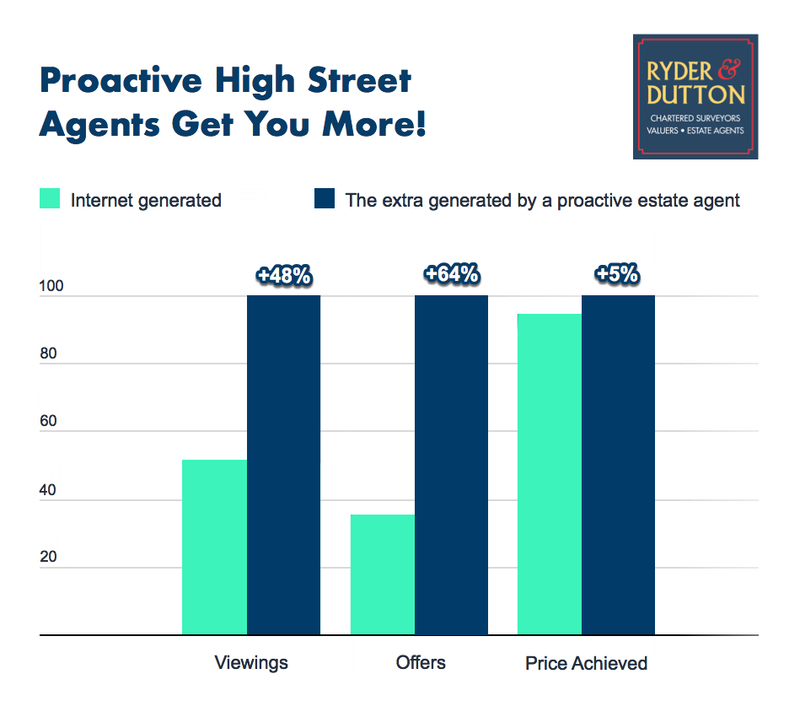 They established that good high street agents in 73% of house sales are achieving a better selling price than pure internet-only agents, and on average are achieving 5% higher selling prices for their clients. In the North West this equates to around a whopping £8,145.75 based on the average house price of £162,915 and in Yorkshire & Humber this equates to around £8,100.45 based on the average house price of £162,009. Contact us today for your free market appraisal. Or.... If you'd like to sell your home for MORE and pay NO FEES UPFRONT then get in touch with Ryder & Dutton Estate Agents today on 0161 925 3255.